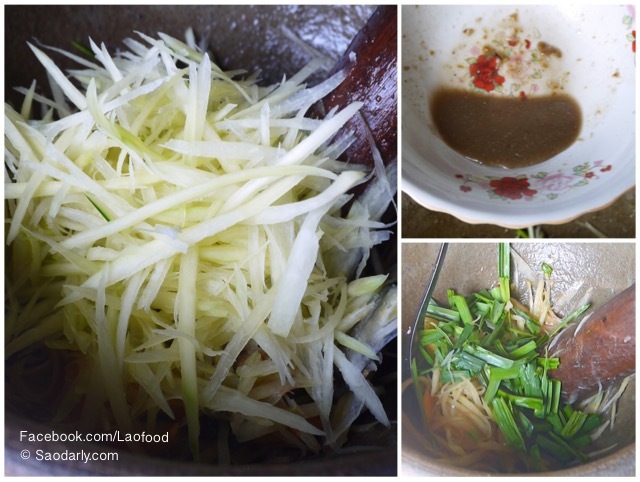 Grilling Duck (Ping Ped ປີ້ງເປັດ) and making Lao Green Papaya Salad (Tam Som ຕໍາສົ້ມ, Tam Mak Hoong ຕໍາໝາກຫຸ່ງ) for lunch in Vientiane, Laos. 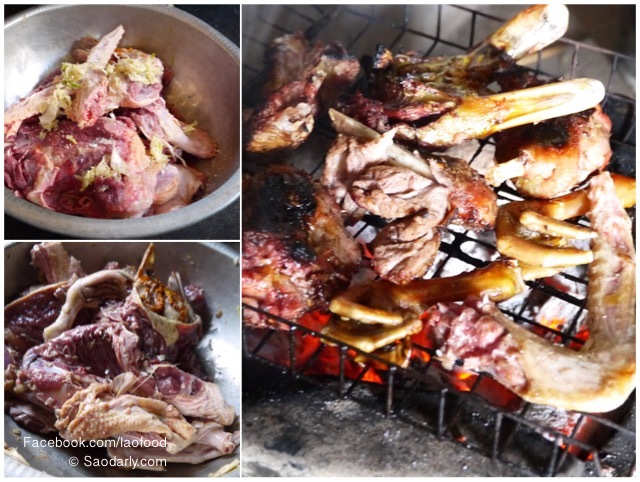 We were invited by a relative for lunch and duck was on the menu. 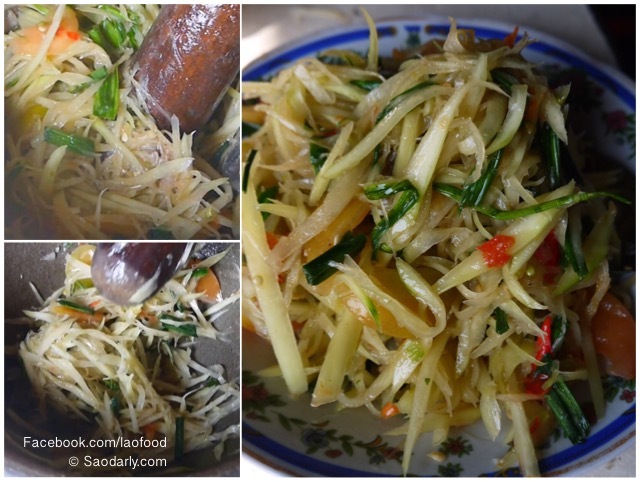 Everything was made fresh with green papaya being picked from its tree a few minutes before it was made into a salad. 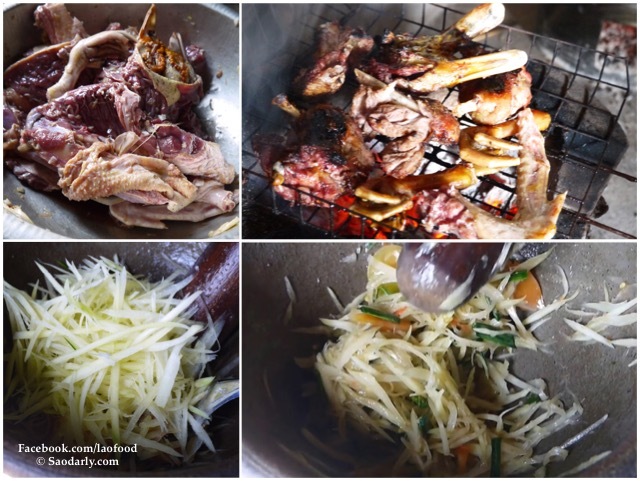 I like grilled chicken with Tam Som, but with grilled duck or Ping Ped in Lao language, it’s even better, served with plenty of freshly steamed sticky rice and loads of organic vegetables.